In a bikexpo.com article entitled ‘It’s Not a Bicycle. So What?’ (December 19th), Jack doubts whether he’d buy a Segway, agrees that it was over-hyped but believes it could be good for the Taiwanese bike industry, reeling as it is from a downturn in demand for bicycles and this year with no ‘micro scooter’ to sustain it. "The Segway is also an affordable, clean, quiet and compact alternative that will be an important part of the urban/surburban transportation mix within five years," writes Jack. "If the Segway does catch on even in the most minor way, expect to see home made souped up versions being raced on the street and on racetracks. Expect to see teenage or other subcultures built up around them in much the same way as for BMX bikes or skateboards. "The potential uses and options to modify it are many and varied. It is a whole new class of personal transportation. I hope they eventually roll them out by the millions. "Already in Taiwan there are manufacturers mulling over what kind of parts and accessories they could build for the Segway — racks for bags, retractable all-weather roofs, tyres, holders for drinks, mobile phones and PDAs …? Sure some of these may sound silly, but so did the pet rock. "Around the world bicycle dealers at different times have in addition to bikes, sold lawn mowers, sewing machines, skis, inline skates, motorcycles and no doubt a host of other odd items which even if their names were written on elastic, it would be more than a stretch to call bicycles. Why? To make money, to survive and to prosper. 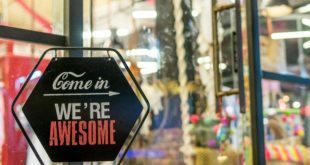 "Depending on what plans the makers have for marketing and distribution, retailers too would be wise remain open minded, if not enthusiastic about the Segway, rather than treating it like an alien intruder or a faddish toy. Somebody is going to have to sell and service them. The question is, who is that going to be – motorcycle or car dealers, electric goods retailers? 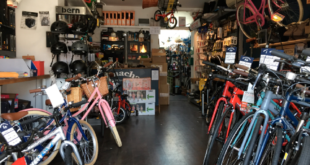 Why not bicycle retailers? "In any case, the Segway is no more likely to completely supplant the venerable bicycle any more than the motorcar or motorcycle did, but if it did, I would want to be a Segway dealer." 4th December – Is Segway the Sinclair C5 of its generation?